Hurricane research implicates something more than science. It is the key to saving lives and mitigating economic damage. From the Galveston catastrophe of 1900, where more than 8,000 people died, to the economic devastation wrought by Hurricane Andrew in 1992 in the United States, scientists have striven to understand and track hurricanes while charting their societal effects. Hurricane! Coping with Disaster tells the dramatic history of that effort by leading meteorologists—the men and women who brought hurricane science into the 21st century, and those who sustain it today. for readers everywhere interested in climatology, hurricane research, the historical background, and more. Robert Simpson and Richard Anthes are the authors of Hurricane! 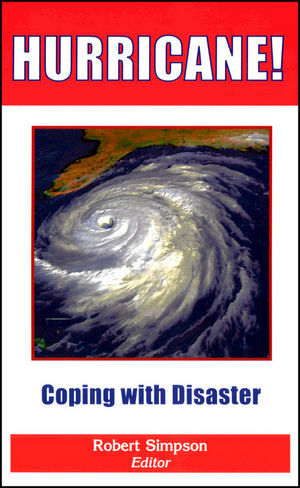 : Coping with Disaster: Progress and Challenges Since Galveston, 1900, published by Wiley.